Taoiseach Enda Kenny has confirmed that he intends to stay in office until at least the end of April. Mr Kenny is to join other EU leaders at a summit to April 29 to discuss Brexit. Under Dáil questioning from Fianna Fáil’s Michael McGrath, the Taoiseach refused to set out a timeline for his departure. Mr McGrath argued that people deserved clarity around who will be leading Ireland into the string of Brexit talks that will begin once British Prime Minister Theresa May triggers Article 50 next week. Mr Kenny said the Government’s priorities are “clear” and focus on maintaining the common travel area, protecting the peace process and ensuring there is no return to a hard border. Mr McGrath pressed for further clarity, remarking that it’s “not a laughing matter” as the Taoiseach appeared to smirk. “We need to know who is charge. 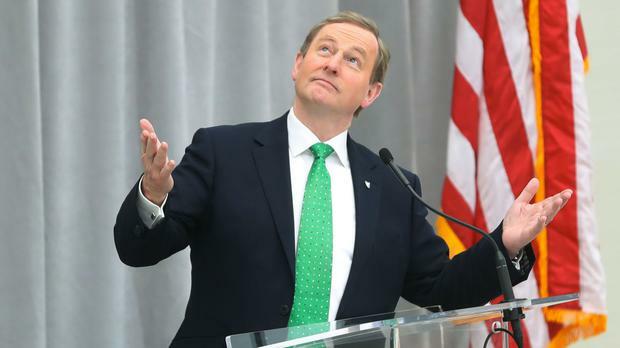 As you once said yourself Taoiseach ‘Paddy likes to know’,” he said.